4° - I want learn with you. I hope you agree me on your team. And 'succ'... That was the quotes "It's fake... is not real clan". Why do you want to join our team? : Because, i like so much this team, i see good players and i want to corroborate with the team. Did any members invite you to apply, or was it your idea? 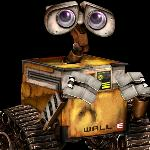 : It was my idea but with the encouragement of "vanquish"
Hey Wall-E! We have decided to deny your application and truly wish you the best of luck! You are a really friendly person, we just feel your skill and English level doesn't quite meet our standards. See you on the battlefield!